﻿ RedDoorz near Pelajar Pejuang 3, Bandung | FROM $7 - SAVE ON AGODA! "The room basically clean, the location is good." Built in , RedDoorz near Pelajar Pejuang 3 is a distinct addition to Bandung and a smart choice for travelers. From here, guests can make the most of all that the lively city has to offer. With its convenient location, the property offers easy access to the city's must-see destinations. 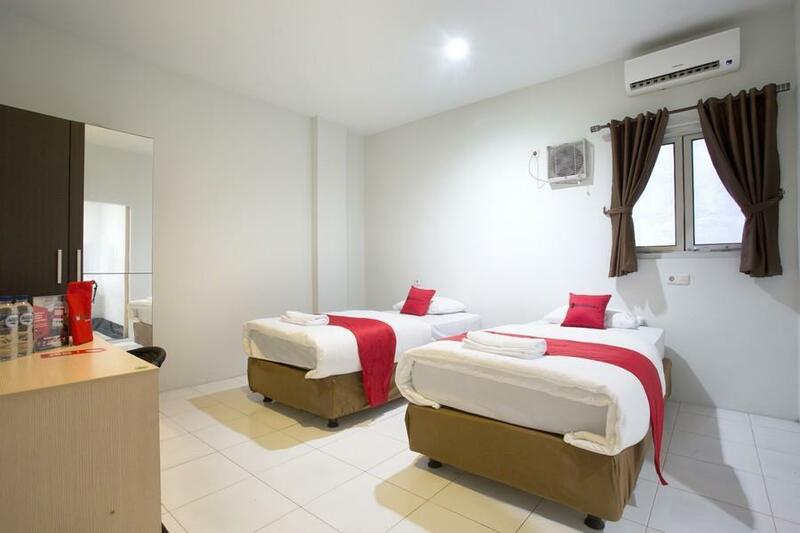 Offering guests superior services and a broad range of amenities, RedDoorz near Pelajar Pejuang 3 is committed to ensuring that your stay is as comfortable as possible. The property offers access to a vast array of services, including free Wi-Fi in all rooms, 24-hour security, 24-hour front desk. Guests can choose from 5 rooms, all of which exude an atmosphere of total peace and harmony. The property's host of recreational offerings ensures you have plenty to do during your stay. Superb facilities and an excellent location make RedDoorz near Pelajar Pejuang 3 the perfect base from which to enjoy your stay in Bandung. privacy customer tolong dijaga betul2. Ruangannya kecil tapi fasilitas lengkap. Toilet & sprai bersih. Recomended! Big room , not clean toilet. No sharing kitchen Toilet was not clean Very big room and comfy bed. Friendly staff. Simple setups with very clean bed sheets and blankets. The only problem was that there were people smoking in the lobby downstairs and it entered our rooms upstairs. So don't turn on the exhaust fan if you don't want the smoke to enter your room from the outside.